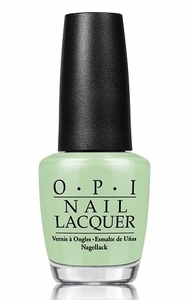 OPI Nail Polish, This Cost Me A Mint, NLT72, .50 fl. oz. Soft, pale mint creme nail color. Soft Shades Pastel Collection, Spring 2016.